Saturday's weather is calling for bone chilling cold and experts say now is the time to check home furnaces before it gets even colder. 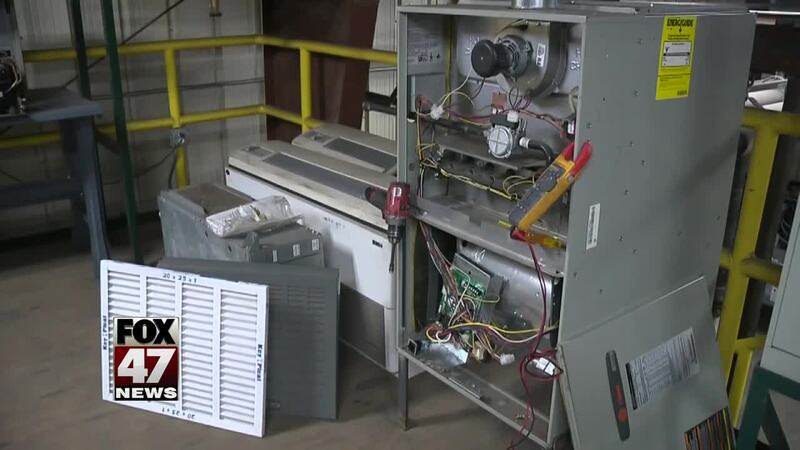 LANSING, Mich. — Saturday's weather is calling for bone chilling cold and experts say now is the time to check home furnaces before it gets even colder. Start by checking the furnace's filter because a lot of common items like pet hair and soot can build up on a furnace, which can prevent air flow. Build up on a furnace's filter is common,but it increases the temperature of the heat exchanger and can cause a lot of wear on the equipment. Frequent tune ups is the best way to assure a furnace is working properly. Another thing to keep in mind is not all problems are contained inside the home. Business Representative Jamie Badour from the United Association Union 85 said, "If you see ice build-up where pipes go out of the house on a high efficiency furnace, that ice build up can block the flow and shut your furnace down. Families should check the batteries and expiration dates on their carbon monoxide detectors and keep an eye on programmable thermostats because they can also make a difference in how a furnace works.